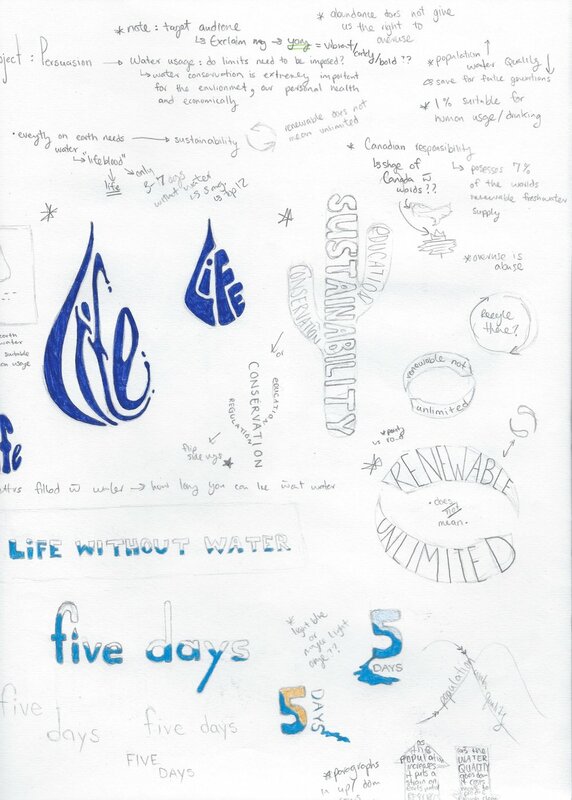 The primary objective of the project was to create a poster campaign that would raise awareness about water conservation and connect with the viewer, making them care about the issue. The idea behind the poster ‘save water, save lives’ was using the metaphor of comparing the body of a tree to the human body: water to a tree, as blood is to a human. In the image the tree is seen to be receiving a “water transfusion,” in the same way a human who has lost too much blood would receive a blood transfusion. The hospital element helped to communicate the idea of the earth as sick and in need, speaking to the environmental impact, as well as adding a connecting element, relating the tree to a person in need. Comparing humans and nature serves as a reminder to people of how interconnected we are, of how important water is, not just to us, to every living thing on this planet. Alternate photographic poster idea no.1. Slogan: "just out of reach"
Alternate photographic poster idea no.2. Slogan: "would you miss it?" For this project I also created concepts that were entirely text based. Although I did not choose them for the final product here are some of the variations I played with. One of the ideas I was especially interested in was the mistake people make in assuming that because water is renewable, it is infinite. A few other ideas I toyed with were the idea of water as representing life and looking at how long the human body can survive without water.